AMP’s over-riding aim is to continuously improve our business and the services we provide to our customers. We pursue innovation and excellence in all areas of our organisation – from the preparation of technical detail, to the way we operate on site and through considerate and effective administrative support for our staff and clients. Many years of experience across a variety of industry sectors enables our engineers to recognise potential problem areas and propose creative design solutions. We value the close collaboration of fellow professionals, and endeavour to be honest and ethical in everything we do. We combine the latest technologies and progressive thinking to provide design led solutions, which are practical and cost effective, enable ease of construction and give best value to the client. AMP was established in 1992 and takes its name from the company’s three founders – Alan Caygill, Malcolm Harding and Peter Readman, who all previously worked for Darlington-based Conder Structures, part of a UK-wide structural engineering group. The three men, each an experienced structural engineer, pooled their expertise to initially provide fast, accurate and economic designs for a small client base previously served by Conder. 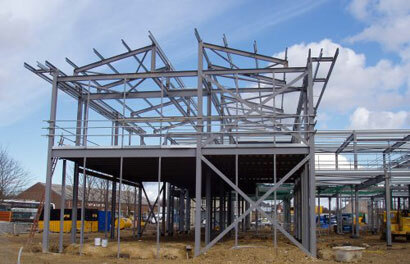 The design of steel frame structures and superstructures for the building construction industry quickly became a core specialist service. However, as demand for AMP’s design and engineering expertise grew, so the company has diversified – to the extent that it now has an internationally-recognised capability to offer complete structural design, architectural and engineering solutions covering the whole building structure as well as an extensive portfolio of specialist capabilities. 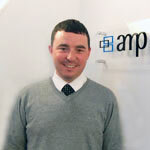 David Hodgson became Managing Director of AMP in 2006 following the death of Alan Caygill. Malcolm Harding continues in a consultancy capacity and remains a shareholder of AMP (North East) Limited. David Hodgson took over as Managing Director in October 2006. 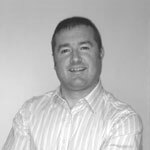 David has worked in the structural engineering field since 1980 and, following an apprenticeship with the Conder Group, worked for consultants and fabricators before joining AMP in 1995. A Member of the Institution of Civil Engineers and and an Associate Member of the Institution of Structural Engineers. Phillip joined AMP in 2011 from Aecom, where he worked as a Structural Engineer for 5 years joining straight from University. Phillip attended Loughborough University where he gained a Masters of Engineering Degree in Civil Engineering. Whilst at AMP, Phillip has worked on a number of large projects including Distribution Centres for Aldi, an extension to the Works at Jaguar Landrover in Castle Bromwich and a Cinema Complex in Loughborough. 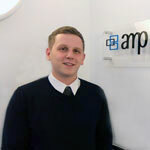 Haydn joined AMP in April 2012 from TTE Training. Since joining AMP Haydn has attained his level 3 National Diploma in 'Construction in the build environment'. Haydn has completed his apprenticeship and his HNC level 4 in 'Building studies' at Teesside University. Since his time at AMP, Haydn has been involved in several projects of varying sizes. AMP Consultants is committed to its culture of responsibility to its stakeholders. Through best practice and continuous improvement, AMP ensures we meet our social, ethical, health and safety and environmental responsibilities. Managing Director: David Hodgson IEng AMIStructE MICE. Director: Phillip Gunn MEng (Hons) CEng MIStructE. 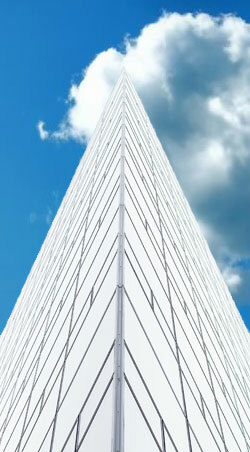 Consultant: : Malcolm Harding CEng MIStructE. Registered in England No. 02718897 | VAT registration no. 602 0580 90 | AMP Consultants is the trading name of AMP (North East) Ltd.
© AMP Consultants 2013 - 2019.